Content by Tony Macklin. Originally published on February 24, 2012 @ tonymacklin.net. Roadie shows the gulf that at times separates critics and general viewers. The audience User Rating of Roadie on Rotten Tomatoes is a feeble 28% positive. Critics have been much more tolerant. Amidst the movie's liabilities, they have found elements in Roadie that are praiseworthy. At times people dismiss critics with smug impunity. They proudly espouse the credo, "I don't go to any movie the critics like." We seem to live in a world in which expertise is considered invalid - and is scorned. But the best critics - e.g., Kenneth Turan and David Elliott - are teachers. 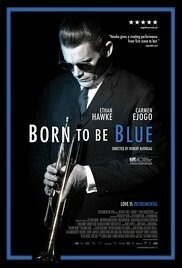 They often point out things you may not have seen, and they approach films in a personal, individual manner. You don't have to agree with them, but they usually give a relevant, knowledgeable view. They offer context. We live in a world in which tv commercials trot out "real people" to sell something - as though I'm going to buy something some nonentity recommends in a commercial. We live in a world in which home schooling prospers. Everyone thinks he or she can be a critic and a teacher. One family: one view. Evolution? Nah, let's go back to one-reelers. Perhaps Roadie shows the value of film criticism in bold relief. It's disconcerting to know that 72% of the User audience rejected it. It deserves better. 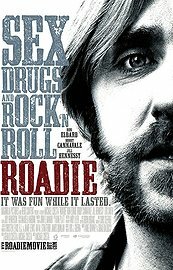 Roadie is an independent movie about a man in his 40s, Jimmy Testagross (Ron Eldard), who has been a roadie for the band Blue Oyster Cult for decades. He's carried and set up their gear. He's been a schlepper and gofer. And, as such, he's lived in perpetual immaturity. As the movie begins, Jimmy is standing alone on a roadside by a wire fence and talking on a cell phone. He's just been fired. He's on the phone trying desperately to get his job back as a roadie. The obstacle of the wire fence makes a nice juxtaposition with an open window at the end. But who cares about a nice juxtaposition? Only an occasional critic. Jimmy returns home to Forest Hills, Queens, New York to visit his mom (Lois Smith), while he tries to regain his job. He has no other place to go. Back home he pretends to be manager, producer, and writer for Blue Oyster Cult. He lies to his mother and two people he knew in high school. They are Nikki (Jill Hennessy), a former friend and Randy (Bobby Cannavale), who used to bully him. Nikki and Randy are now married. Jimmy meets Randy in a local bar - it's a bit hard to believe he once bullied him. The trio get together. Nikki now sings in a bar once a week and thinks Jimmy might help her get noticed, and Randy owns a car dealership. Everyone's dreams - now illusions - are on life support. Jimmy is bewildered and frustrated, and he's struggling for identity. He has lived in perpetual adolescence for many years, and now it's closing in on him. He tightly holds on to the false image he has tried to create. Back in Queens, he even gets beaten up in the street by a smaller youngster, as though he's still in the throes of adolescence. I assume most viewers don't care about Jimmy's arrested development, but he's more than just a loser. Jimmy's role could be a cliche, but Eldard gives it viable humanity. Lois Smith also gives a notable performance as Jimmy's mom, whose health is deteriorating. 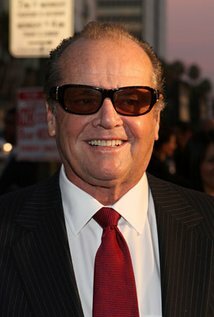 Smith once played a relative to another alienated misfit, when she portrayed the sister of Jack Nicholson's Bobby Dupea in Five Easy Pieces (1970). Forty years of witnessing alienation. Jill Hennessy and Bobby Cannavale survive more limiting roles. One of the problems is the dialogue, which often is strained. [The screenplay is credited to Gerald Cuesta and director Michael Cuesta.] Much of the dialogue seems improvised. Improvised or not, the dialogue needs another draft. Director Michael Cuesta pays homage to a past that has faded. Jimmy at home still has vinyl records and a turntable. Nikki says his bedroom is, "like a rock 'n' roll museum." Jimmy muses, about Blue Oyster Cult, "It was like science fiction poetry on a turntable." Cuesta's handling of motivation is sometimes questionable. In a motel room the trio gets drunk and coked-up. This leads to Jimmy's frenzied mimicry of a singer/drummer on Blue Cult Oyster. When Randy calls him a fake, it's unmotivated. Randy is not smart enough, or informed, or bitter enough to suddenly jump to that reaction. The ending of Roadie has the music of "The Load Out" - Jackson Browne's tribute to the roadie. It's like going from one concert to another. Fortunately, Ron Eldard holds them together.